Sandy Petersen is the undisputed authority on the Cthulhu Mythos in games as the author of the groundbreaking game Call of Cthulhu, the first game ever to bring H.P. Lovecraft’s work to the gaming world. This is the definitive and ultimate guide to bringing Lovecraft to the high fantasy sword and sorcery worlds played using the Pathfinder rule system. 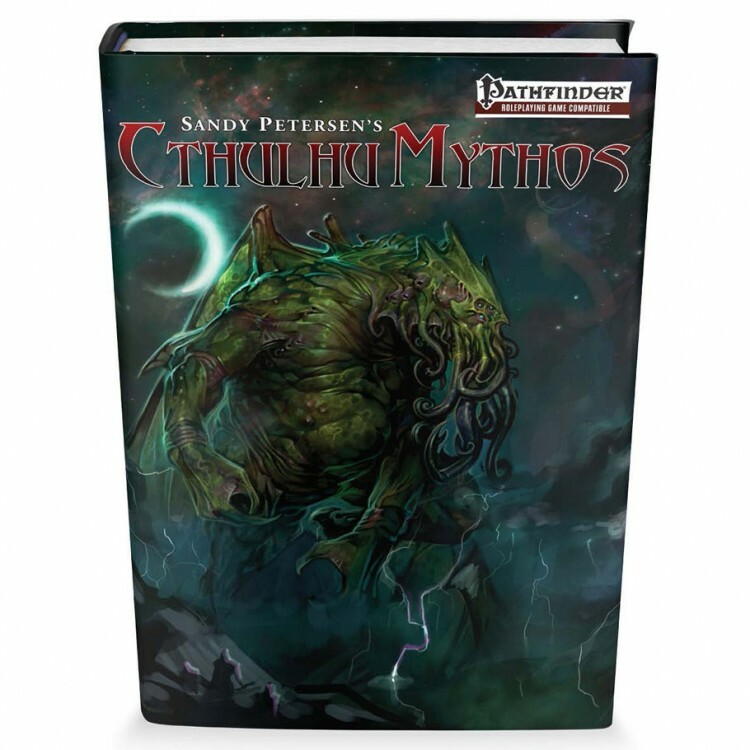 Written by Sandy Petersen, James Jacobs (Creative Director of Paizo Inc), Arthur Petersen (lifelong enthusiast & expert on Cthulhu Mythos), and Ian Starcher (expert on Pathfinder game system mechanics). A bestiary with over 100 entries, almost half never before seen in a Pathfinder book before. Mythos Creatures in all Pathfinder Bestiaries now authoritatively revised & updated in this book. New PC races, ritual rules, brand-new insanity rules, class options, feats, spells, magic items, bizarre technologies, cults, and in depth coverage of the Great Old Ones. Same quality, layout, and artwork style as Paizo Pathfinder books (even printed by the same company). Over 250 pages.